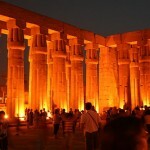 Are you the one who would like to visit the oldest tourist attraction in the world? 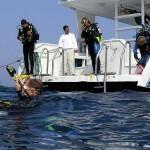 If so plan a visit to the land of pharaohs and experience by yourself Egypt’s top tourist attractions. The Great Pyramid of Giza belongs to the surviving member of the Seven Wonders of the World. There are 3 main pyramids in Giza: the Great Pyramid of Khufu, the Pyramid of Kafhre and the Pyramid of Menkaura. Each pyramid is a tomb of the Kings of Egypt. In front of the pyramids there lies the cat-like sculpture, the Sphinx, which attracts millions of tourists annually. In the following let’s see some visitor’s tips for the Great Pyramid of Giza, hoping that you will find this article useful for setting your itinerary on the land of the pyramids. 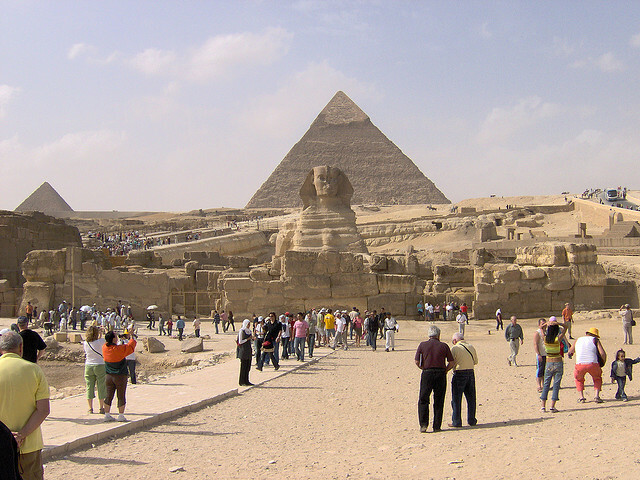 As the pyramids are the main attractions of Egypt, getting to them is very easy, as there are frequent trips to them. The most comfortable way for getting to the Pyramids is, if you take a taxi from the center of Cairo. Make sure that you set the price with the taxi driver before, in order to avoid unpleasant situations about the price of the ride. However there are regular air-conditioned bus services as well, just check their timetable in time. 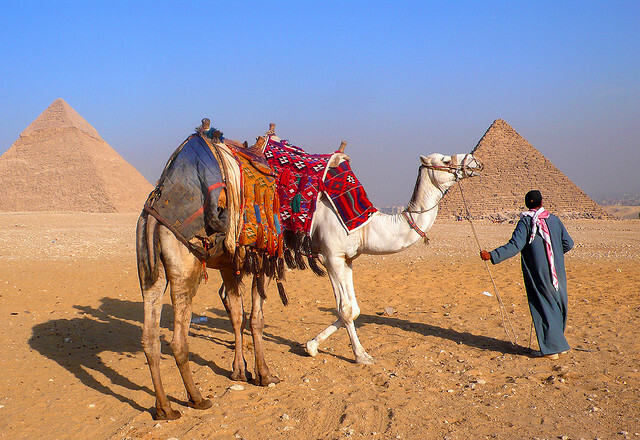 There are plenty of options for getting around the pyramids as you can walk, take a horse or take a camel ride. Since the 1980’s it is strictly forbidden climbing up to the pyramids, is better trying preserving and not ruining a Wonder of the World, just for fun. If you would like to go inside to the pyramids, mind that it is very narrow inside, so if you suffer from claustrophobia, is better if you skip this option. At night, there is a must experience sound and light show around the pyramids about its history The show is presented in various languages. so it is a real fun. A camel ride would be a great once in a lifetime experience for most of us, and in order to get the most out of it, try to bargain about the price of the ride, before you get on the camel. Another useful tip is to avoid taking photos about the camel, unless you are prepared to pay, as the owners charges you if you take pictures during the ride. Do not forget that the months in Egypt are very hot, so be prepared in order to get the most out of your holiday and enjoy your stay in the country. First of all take plenty of water with you, avoid the dark-colored clothes and wear hat and sunscreen. 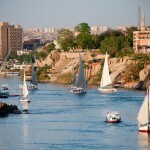 The best time to visit Egypt is from October to May, although it is the peak travel season the temperature are a lot better than from May to October, when the temperature is very high. Also try to avoid traveling to Egypt during Ramadan, as at this time alcohol and food are not as available as in usual and most of the attractions are closed earlier.